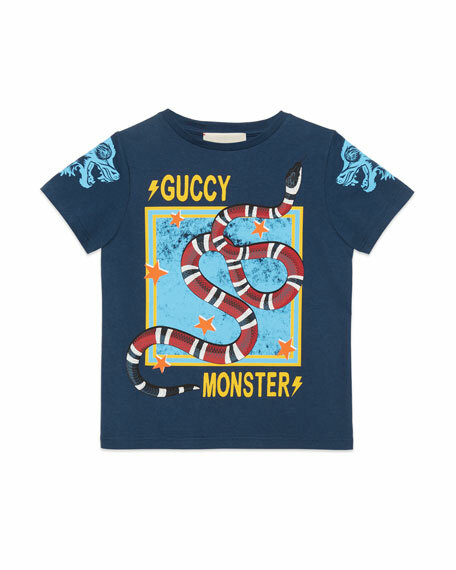 Gucci T-shirt with Guccy Monster and Kingsnake print. Wolf head print on shoulders. For in-store inquiries, use sku #2638793. 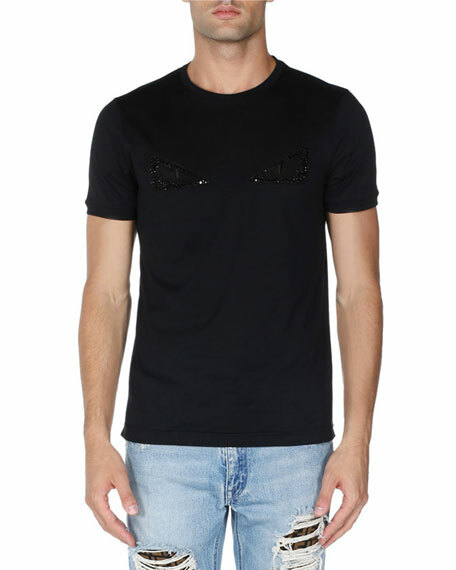 Fendi jersey T-shirt featuring Monster Eyes motif. Tonal crystal appliqus with metal eyes. Crew neckline. Short sleeves. Pullover style. Relaxed fit. Straight hem. Cotton. Made in Italy. 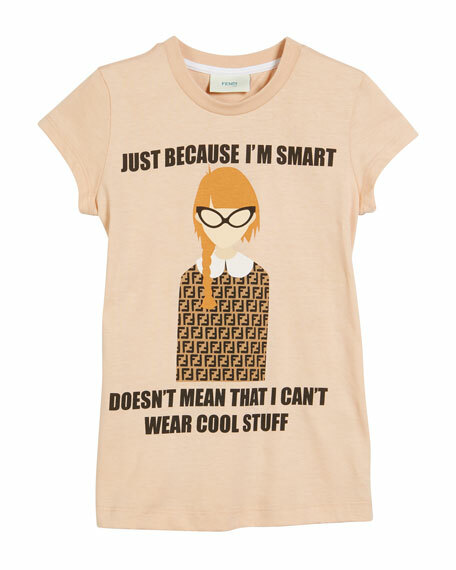 Fendi tee with "Just Because I'm Smart Doesn't Mean That I Can't Wear Cool Stuff" text and graphic at front. Crew neckline. Short sleeves. Pullover style. Cotton. Made in Italy. 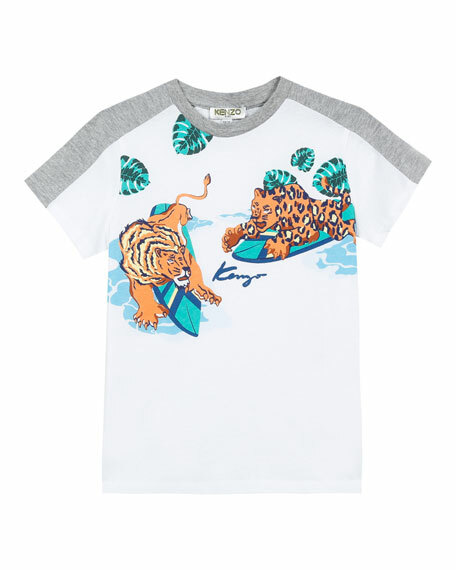 Kenzo T-shirt featuring surfing tiger friends graphic. Contrast heathered insert at collar and shoulders. Crew neckline. Short sleeves. Pullover style. Main: cotton. Trim: cotton/polyester. Imported. 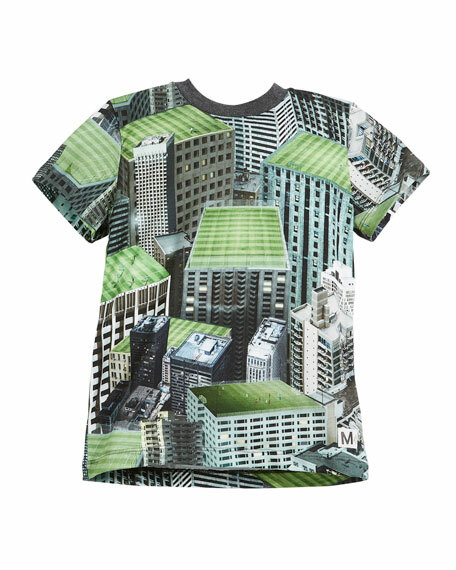 Molo "Raymont" tee printed with the city's rooftops and football pitches. Contrast crew neckline. Short sleeves. Pullover style. Relaxed fit. Cotton. Imported.